When you look at a pothole developing on a road surface, it is a sign of a structural failure of the road. It points to inferior workmanship, poor maintenance and low quality of material used. There could be other reasons behind the phenomenon such as an excessive volume of traffic and weakening conditions for underlying soil. Potholes can vary in size and can be small to huge and deep in size. 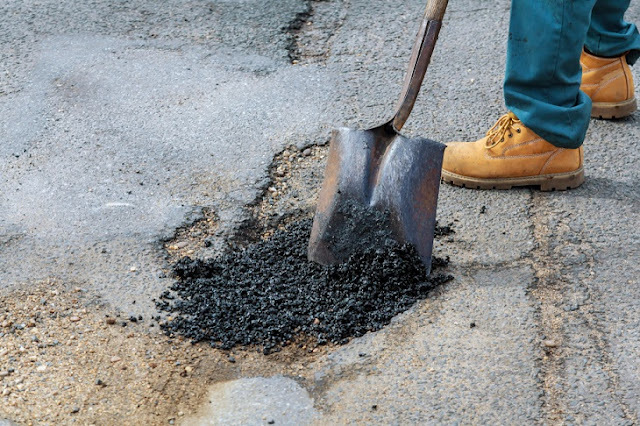 Regular pothole repairs are essential if one has to keep the surface in good conditions. Any neglect or delay can further deteriorate the surface and can even lead to accidents and injuries due to the potholes. How do those Pot Holes develop? The two main reasons behind the formation of the potholes are water and traffic. Water from rains can seep through and weaken the soil beneath the pavement. Regular traffic creates stress on the road surface and places it beyond the breaking point. The fatigued road surface and weaker soil below cause cracking, and gradually, the pavement gets loose. The result is the formation of a pot- hole. Potholes can grow very fast if not checked due to the continued wheel loads. One should get pothole repairs done in time, or those pots can deepen and widen in size. If they are large enough, they can degrade the wheels and tires, leading to vehicle suspensions or serious road accidents. One should go for the best possible pot hole repairs based on the condition of the road and the size of the pot holes. There are different means and ways of repairing those pot holes. One should ensure that they have the asphaltic patch materials that are available in either hot or cold mix forms. Throw-and-roll pothole repair: The most basic method for pot hole repairs, it is a temporary solution to get rid of the pot holes. All one needs to do is fill the hole with the asphaltic patch materials. The method is fast and more cost-efficient, but temporary solution. Spray-injection pothole repair: The semi-permanent method of pot hole repair needs specialized equipment. The pot hole is first cleaned by blowing away any water and debris. 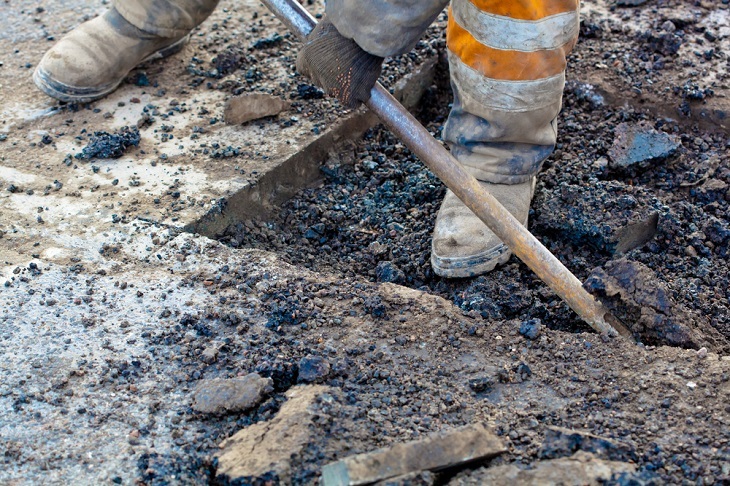 The tack coat of binder is sprayed on the sides of the hole and alter the asphaltic materials, and the binder is bowed in to fill the pothole. The patched area is capped with a layer of aggregate. Semi-permanent pothole repair: Under this method, one clears the hole of any moisture and debris. Once the pot hole is clean and dry, the asphaltic materials are placed inside, and the patch is compacted and evened out with the help of a vibratory roller. Edge seal pothole repair: For this method, one employs the throw-and-roll repair, fills the pothole and then compacts it with a heavy vehicle Another added step here is to place asphaltic tack substance along the edge of the patch that overlaps the pavement. Full-depth roadway pothole repair: It is the most efficient way for pot hole repairs. However, it is also a bit more complicated and expensive and best done by a professional in the field. The old asphalt is pulverized and rebuild by mixing with cement and water. It is them compacted to create a base for an asphalt of the concrete surface. The old potholes are got rid of in this method and replaced with new pavement. Get in touch with a leading service provider for pot hole repairs. You should look for not just the quality services but also the quality mixture of selected aggregates and a special additive for optimal interlock after placement.